"I have worked with the Dee Evans Group as a Buyer, a seller and a landlord. Dee and her team are all was on top of their game. I wouldn't work with anyone else. Thanks again Dee!" "What an awesome experience. Dee and her team are truly extraordinary. It's easy to see why she is number one. They are professional, courteous and experts at what they do. She has blown the myth that real estate agents only show properties. Dee and her team know how to get the job done. From staging, to photography, to strategy... Dee Evans and team have earned my referrals for life." "Dee was very knowledgeable of the current market, courteous at all times, professional in all aspects of the business, yet personable. In short, a pleasure to deal with." "We were very pleased with the experience. All that were involved with the sell of our home were very helpful and knowledgeable. They are truly a first class agency." "Dee Evans, an associate of Ebby Halliday Realtors used a professional to stage the interior and a professional photographer for all photos. The photos were of very high quality. Listing process was very complete, including all the positive features of the house." "Wow! What an experience! We went through 3 buyers to finally get our house sold. Dee, Jackie and her entire team stuck with us through all the struggles with the buyers' lenders and she dug her heels in when the going was tough and her negotiation skills made us proud...all resulting in a successful CLOSE and FUNDING. I highly recommend Dee and her professional team...they all were a pleasure to work with. also, many kudos to Jackie for being a valued source of information and present knowledge during the entire process. THANKS DEE!!!!!" "Dee Evans, an associate of Ebby Halliday Realtors used a professional to stage the interior and a professional photographer for all photos. The photos were of very high quality. Listing process was very complete, including all the positive features of the house. We had two offers in 5 days for the listed price of the house." "Our experience with Dee Evans was excellent in every way. She and her team are experts in their field and it was apparent as the selling process progressed. Her marketing helped our house to stay front and center and brought offer after offer. She and her team were immediately responsive when there was a question or concern. The Dee Evans team allowed us to relax as they worked hard to get our home closed ASAP. We trusted Dee Evans so much that immediately after closing on the sell of our house we purchased our new home through her team. 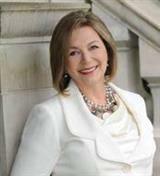 If you want an agent with expertise, integrity and experience Dee Evans is the one to use." "Debbie Branch's expertise helped us sell our home quickly. We recommend you call Debbie if you need to sell or buy your home. Thank you Debbie for all you do for us!" "Dee has many positive traits that make her an excellent representative for ones realty needs. She is a professional to begin with; that includes her knowledge of markets, honesty, follow up efforts, integrity and for us her pleasant charm and the calm nature about her." "Dee Evans... what a gal! Dee has sold 2 properties for usThe first property was our home in Rockwall. We could not get a contract after 1 year on the market. We let Dee have it and BAMMM it sold. The second property was commercial . It was on the market for years (10+) We gave it to Dee and BAMMM it sold. She has been a wonderful hard working lady for our family and we appreciate her dedication and expertise. She is" DEE GROUP" to handle all your real estate need." "My experience with Ebby/Dee Evans Group and in particular, Leigh Wilcoxson, was a wonderful experience. It had been many years since I had gone through the house buying process and Leigh helped me so much. Her advice was invaluable, and she proved to be a very patient person when dealing with my requests. We looked at a lot of houses, and Leigh always remained positive and helpful. And she found me the house that worked perfect for my family! The Dee Evans group made the closing process so easy, and before I knew it, the keys were in my hand. I would certainly use the Dee Evans group again, and I would refer others to Leigh." "The Dee Evans Group was the first realtor to call us back within minutes after we sent a request for information on a home and we are so glad they did. We were shown the house we were interested in the very next day and that is the home we chose to buy. A special thanks to Carrie Kathan who was with us throughout the process and was our advocate when we needed to negotiate." "Our property requirements were very specific and Karen (Coughlin) did a great job interpreting that information and locating properties that were a good fit for us. Her efforts resulted in a short search for the right property." "Debbie Branch, from Dee Evans Group, was knowledgeable and helpful throughout the experience of selling our home. We had multiple showings immediately after listing and had multiple offers before we knew it! I'd recommend them to anyone buying or selling in the Rockwall/Rowlett area." "Dee is an incredible individual. She makes everything work out great and in addition, she is fun, friendly, passionate and professional. I also want to note that she really has a grasp on what people want when coming to a realtor. She is a pleasure to work with. She has a lot of experience and training, but most of all she is just very personable. I would consider her a strong team-mate when buying and selling. Again, she was a breath of fresh air." "Leigh Wilcoxson, of Dee Evans Group, did an excellent job listening to what we were looking for, then worked relentlessly to find us that home. She was easy to communicate with and had a great knowledge of the area. She was helpful in so many ways and we would highly recommend her." "Dee Evans has a very knowledgeable and professional team. Everyone was very helpful and ready to assist. They were very aggressive in listing, advertising and showing our home. Thank you all." "We had Debbie Branch as our realtor on a recent house sale. She was excellent. She helped us get a price for our home that far exceeded what we expected...she knew how to figure and justify this. She kept our best interests at heart at all times and we totally trust her! She knows the area, knows repair people to suggest, knows how to value a home, knows how to negotiate for repairs and be diplomatic at the same time. We had experience with 2 other realtors and Debbie was the best by far!" "Dee Evans the brightest real estate professional I have had the opportunity to work with. She has this ability to treat me as an exclusive client. I never felt more comfortable with her representing me. She is a model professional, exhibiting the highest standards in ethics." "Fantastic Experience. Dee took a complicated process and simplified from the initial meeting, staging, showing, close. Never a missed communication. The office staff were always prompt and thorough with every detail. Excellent advice. I would recommend to anyone selling a home in Rockwall. She knows the area and best TEAM support around." "Bill Burleson was my agent and was fantastic through our first time home buying process, I've heard horror stories and he definitely made the process easy and enjoyable." Excellent Communication, excellent service. The quality of her commitment to the clients' is what brought us looking to have Dee represent us in selling our home.